Performing regular preventative maintenance on your car is essential in order to insure the safety of you and your family. Whether you are a resident of Burke, VA, Fairfax, VA, Springfield, VA, or if you live in Chantilly, VA, you probably rely on your vehicle to get you from start to finish. The staff at Wiygul Automotive Clinic is dedicated to preserving the value and safety of your vehicle. Because we understand the importance of value and safety, we have put together a "Do It Yourself" maintenance checklist to keep your vehicle reliable and running. It is no surprise that the engine is the heart and soul of every vehicle. Without an engine your car would be useless. It is for this reason that Wiygul Automotive Clinic recommends a frequent check on your engine's oil levels. The lifespan of engine oil is limited due to the fact that at a certain point lubrication is lost and oil carbonization takes its place. Once oil begins to carbonize, friction within the engine begins to increase and can leave permanent damage. Regular oil changes allow the engine to remain clean and consistently lubricated. The condition of your oil can be checked by removing the dipstick. If the oil is black then it is definitely time to change your oil. If you feel as though you are in need of a complete oil change, the staff at Wiygul Automotive Clinic will be more than happy to help you out. Coolant is comprised of half glycol and half water. The glycol half of the mixture ensures that the fluid does not freeze during the coolest of months. In the same respect, glycol also prevents the water element from boiling over. Coolant, therefore, can be looked at as an essential element to maintaining stable temperature levels under the most severe weather and driving situations. Low coolant levels will force your engine to overheat, which, needless to say, can cause permanent damage to your engine. Winter can be harsh and the summers blazing in Northern Virginia, so you should maintain the coolant at all times. With gas prices on the rise, one way to ensure that you are maximizing your miles per gallon is to have your tires properly inflated. To determine what the recommended pressure in your tires should be, look no further than your owner's manual. A properly inflated tire can maximize your gas mileage by nearly three percent and also ensure a smooth ride. Incorporating tire rotation and proper alignment can add to the overall safety and longevity of your vehicle. 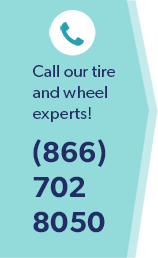 Contact Wiygul Automotive Clinic to schedule a tire rotation and alignment. We are conveniently located in Burke, VA.